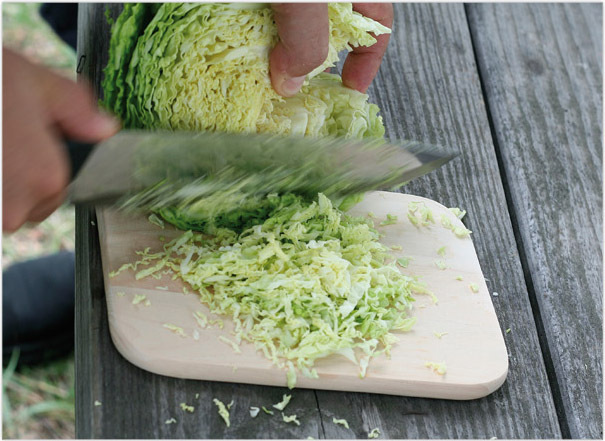 The process of fermentation of cabbage leads to the formation of organic acids, such as lactic acid, which makes the sauerkraut more digestible. The lactic acid can inhibit the proliferation of unwanted intestinal bacteria and helps people have good digestion. A study published by the “Journal of Agriculture and Food Chemistry” has shown that the process of fermentation of the cabbage produces isothiocyanates, natural chemical compounds capable of preventing the growth of cancer in the breast, colon, lung and liver. The cabbage is a cruciferous vegetable. According to the U.S. Department of Health and Human Services, eating several servings per week of cruciferous vegetables (cabbage, kale, Brussels sprouts, cauliflower, broccoli and turnips) can reduce the risk of colon cancer.